CTFLC from Rosalynn Carmen on Vimeo. The Council for Teaching Filipino Language and Culture’s pioneer work in preserving the culture and obtaining accreditation for teachers of the culture and language have earned the organization the 2013 Asian Heritage Award in Education. The Council, along with 11 other recipients in categories ranging from entrepreneurship to science and technology, will be honored during the Tenth Annual Gala Ceremony Sept. 14, 2013 at the San Diego Marriott Marquis and Marina, 333 W. Harbor Drive, San Diego. In addition, UCSD Chancellor Pradeep Khosla will receive the Society’s highest honor, the Special Recognition Award. 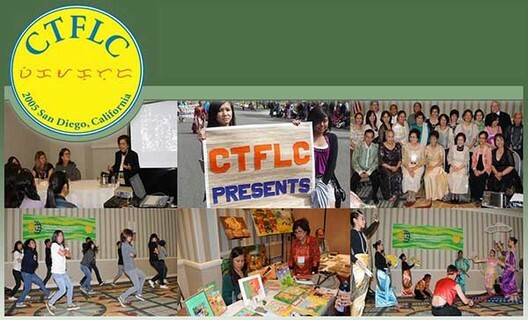 With its roots in San Diego, CTFLC is well-known globally for teaching the language and culture to Filipino-American students, as well as its outreach to other groups of Asian heritage. 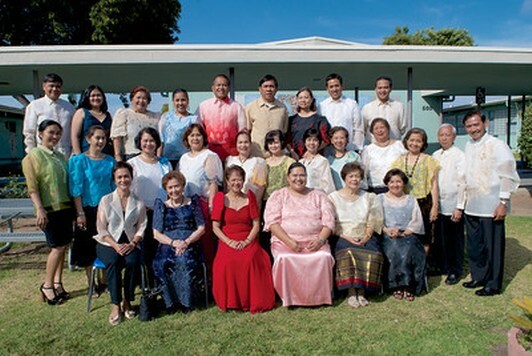 The Council is recognized for its effort not only on behalf of the Filipino language and culture, but for helping spur recognition of languages other than English, Spanish and French that are not as widely practiced and taught in the schools after the organization’s lobbying efforts helped spur passage of AB 420 in 2005. Because the Filipino Teacher Examination became the first one written for the less-commonly-taught languages, the format became the model for several other languages that are now taught in schools. A year after the Filipino Language Examination for teacher credentialing was written and developed, nine other less-commonly taught languages were recognized by the California Department of Education. Among them are Arabic, Armenian, Cantonese, Farsi, Hmong, and Khmer. In five years, 19 other languages joined the list. With the help of the Language Acquisition Resource Center (LARC) of San Diego State University, the organization also developed written review materials and conducted classes for anyone wanting to take the Filipino Teacher Credentialing Examination. Teachers in these classes make sure that their students, Filipinos and non-Filipinos alike, are invited to participate in the yearly celebration of Filipino festivals, where they learn about ethnic dress, dance and other aspects of the culture and participate in the various programs. In the last ten years, the Asian Heritage Society’s Asian Heritage Awards has become the premiere event of its kind for Southern California’s Asian community. The event has been recognized by the U.S. Congress, the City and County of San Diego and twice cited for its public service by the San Diego Press Club, one of the largest organizations of its kind in the country. Principal sponsors include SDG&E, the U.S. Navy and the Avery-Tsui Foundation. PHILANG from Rosalynn Carmen on Vimeo.